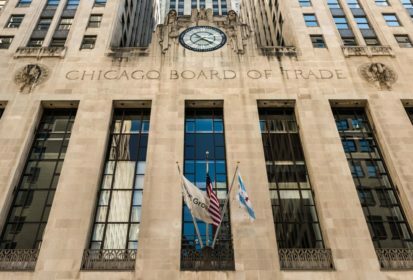 CNS Canada –– Corn, soybean and wheat markets at the Chicago Board of Trade are starting to stabilize after a wild week. “Obviously we’ve been down a little bit here this week. We’re recovering some here today, the wheat’s doing the biggest recovery of all,” said Jack Scoville of Price Futures Group in Chicago. Markets were sent down Friday after the results of the ProFarmer crop tour of the U.S. Midwest were released. Leading up to the release, it had been expected the results would be in line with the U.S. Department of Agriculture’s earlier predictions. Traders were shocked when higher soybean and corn yields were predicted. While wheat markets weren’t directly affected by the crop tour, they suffered their own losses also this week. Little export interest and ideas of strong competition from Russia, where the currency has been weaker, pressured the market. “This month (the wheat market has) dropped from $6.10 to $5.20, which is a 90-cent break up until yesterday which is pretty significant. So that put us right into a support area and I think we’re bouncing off of that as well,” Scoville said (all figures US$). The wheat market was starting to see a recovery Wednesday. Scoville expects that to be the case the rest of the week, as traders get more ideas of what global wheat production will look like this year. Traders will also be paying attention to the Canadian production numbers set to be released by Statistics Canada on Friday. Corn and soybean markets were also seeing recoveries Wednesday, which Scoville expects to hold throughout the week as well. “I just feel like those markets are oversold and we’ve pretty much incorporated the supply side into it. The demand for corn especially has been very, very good and that should help start to support the market in through here,” he said.